Looking for a good book? Click the link above to search the IPS Library collection. Click here for more information on Children's Programs at the Ingleside Public Library! Click the link below for talking picture books, e-books, audio books and more! 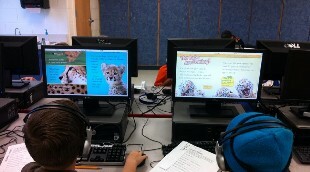 First graders using National Geographic Kids to research animals. Click the icons below to access TexQuest digital resources! 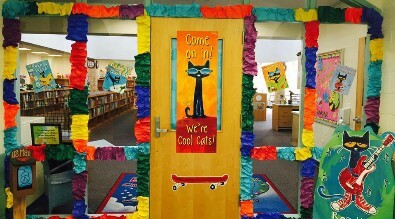 Stop by the library or email Ms. Villaneda, your District Librarian, for login information. Engaging online tool of PK-2 grades students. Learn letters, words, numbers. sounds, time, geography, and more! Resource for Teachers! Take a Video Tour.